When your Apple Watch Series 4 triggers Airplane Mode on its own, it also disables all the wireless connections like Wi-Fi and more. This happens because the functionality of Airplane mode is to disconnect the Apple Watch from all the connections, so ultimately you cannot use Wi-Fi and calling functions. Nevertheless, this problem arises even in Apple Watch Series 1 and Apple Watch Series 2 and still continues in the Apple Watch Series 4. 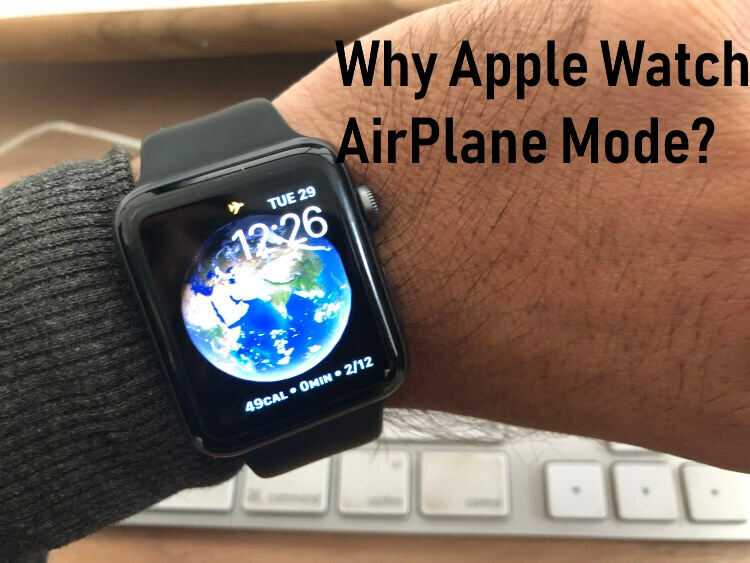 Without any input, if it happens in your Apple Watch then look out to fix Apple Watch Series 4 goes into Airplane mode on its own. Exact solution also works on Apple Watch 3, Apple Watch 2 or all models. 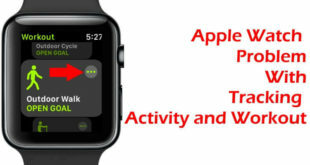 Using outdated watchOS in your Apple Watch Series 4? Then probably you must update the Apple Watch before you have to deal with other weird problems while you need the watch most. To start the update on Apple Watch, you need to have your iPhone with you. Make sure you connect the Apple Watch and iPhone with the strong Wi-Fi connection before updating it. Step #1: Go to “Watch” app in your iPhone. Step #2: Tap “My Watch” tab on the bottom. Step #4: Tap “Software Update”. The iPhone will show you if any pending update for Apple Watch is available, download it. In case the iPhone ask about the passcode, then enter to proceed. 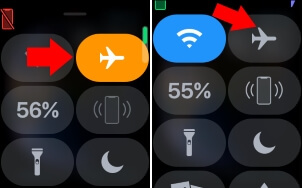 Turn off Airplane mode on Apple watch from the control center, Swipe up the finger to see control center on Apple watch, Find Airplane icon and Tur off it. If your Apple Watch series 4 is up to date, but still it goes to Airplane mode on its own then try to unpair and pair with your iPhone. We recommend this solution because when you unpair the Apple Watch from iPhone, it erases all the related data from the Apple Watch. Step #2: Tap on “My Watch” tab. Step #3: Select the watch you want to unpair and tap (i) next to the watch. Step #4: Finally, select “Unpair Apple Watch”. Now, once you unpair the Apple Watch from your iPhone, it’s time to pair the Apple Watch like you have set up for the first time. 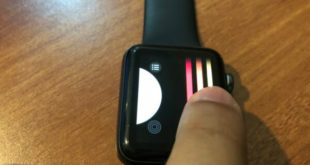 Do one thing if you really want to fix Apple Watch Series 4 goes into Airplane mode on its own, reset the Apple Watch to factory settings. 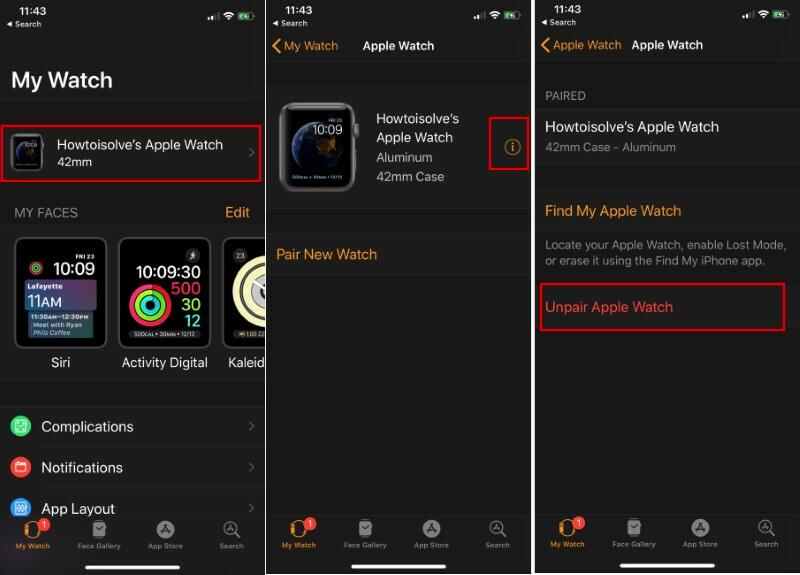 Even don’t restore the old backup while you set up the Apple Watch, it will prevent the entry of bugs or corrupted file in your Apple Watch which triggers Airplane mode automatically. Step #1: Open the “Watch” app in iPhone. Step #2: Choose “My Watch” tab which is located on the bottom. Step #3: Then, tap “General” and go to “Reset”. Step #4: Select “Erase All Contents and Settings”. This is a Secure process, you will not lose any data from your iPhone and Watch as well. 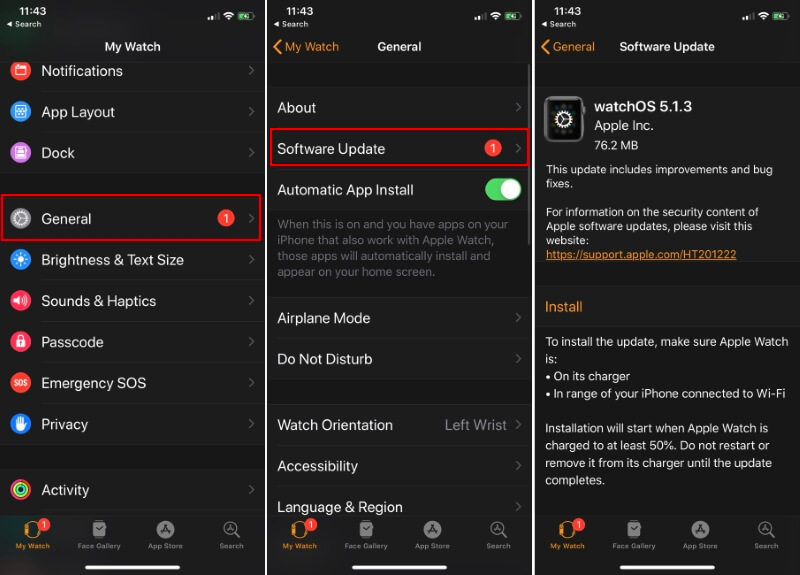 All Apple Watch Data and Settings will be back on the next pairing process if you will be selecting latest backup of apple watch. That was all about how to fix Apple Watch Series 4 goes into Airplane mode on its own.